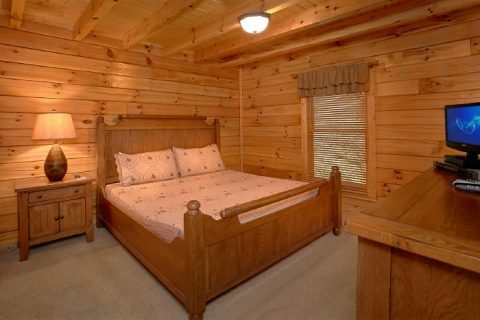 "Dew Drop Inn" is a lovely 3 bedroom cabin rental close to Dollywood and the Pigeon Forge Parkway. 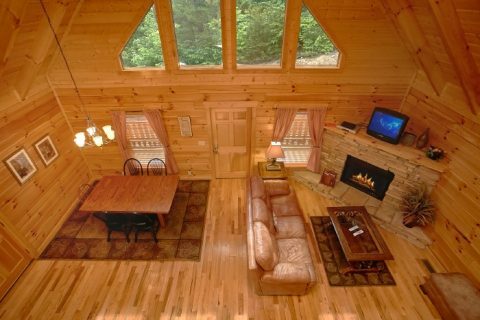 With room for 6 guests, this cozy log cabin in the Smokies is perfect for families or a small group of friends. 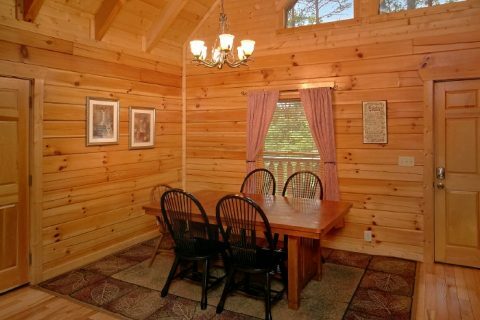 With a great location close to Downtown Pigeon Forge, guests of this cabin will have no problem finding great shopping, restaurants, and entertainment nearby. Better yet, convenient access to the Parkway gives guests easy passage to other great destinations like Downtown Gatlinburg and the Great Smoky Mountains National Park. 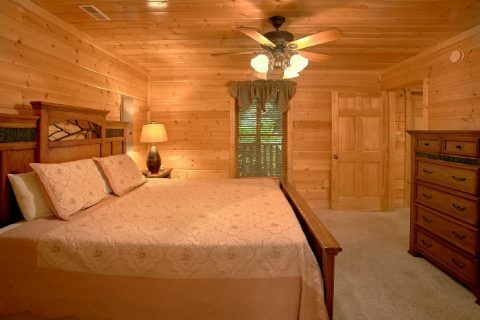 For your vacation, this cabin close to great area attractions allows you to save precious time on your vacation. 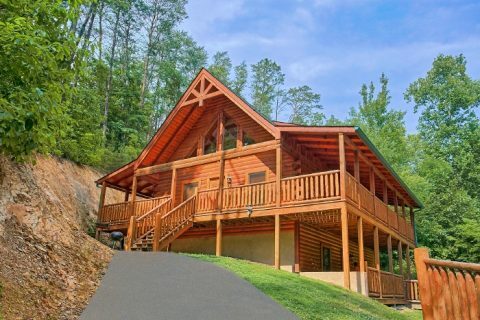 Your family or group will appreciate having a short drive back to their comfortable cabin where there can unwind and relax after their day of adventure. Enter into your cozy living area where you can relax in comfortable furniture close to a stacked-stone gas fireplace with a television. Nearby, the kitchen with a breakfast bar provides everything you need for preparing great meals for your family. Better yet, this cabin amenity allows you to save your vacation dollars by giving you the option of eating fewer meals in town. 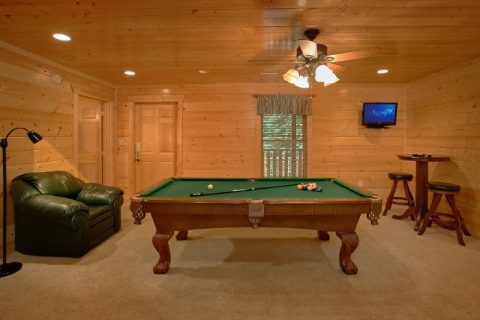 For entertainment and relaxation, enjoy a few rounds of pool in your cabin's game room with a pool table. Here, kids will find plenty of space to romp and play so you can relax. 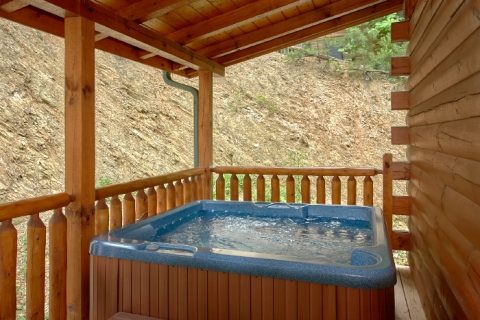 Outside on the deck, guests will love sitting in a rejuvenating hot tub in the mountain air. 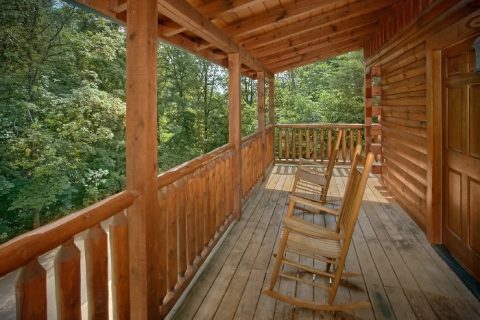 Sit in a rocking chair on your cabin's front porch and watch a sunset in the mountains. For a fun family activity, enjoy a movie night in the living room. When it's time to hit the hay, guests can get some much-needed rest in one of 3 king-size bedrooms. 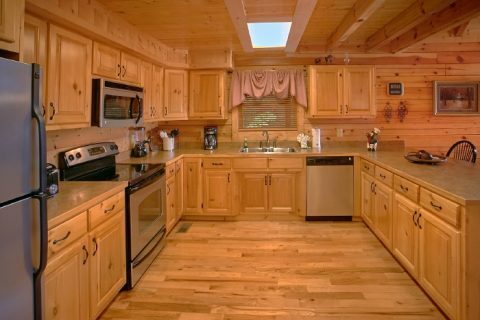 "Dew Drop Inn" is located close to another 3 bedroom cabin named "Lucky Logs Lodge." Contact our reservations office to book these two together for a family reunion or large group gathering. 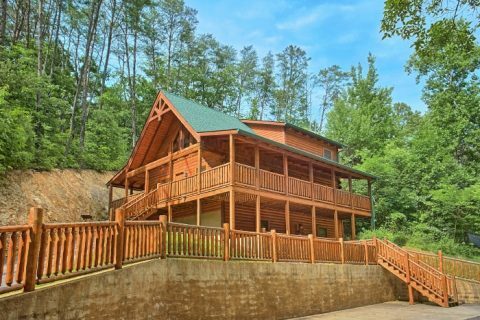 Book your 3-bedroom cabin close to Downtown Pigeon Forge for an excellent vacation exploring the Parkway and riding thrilling coasters at Dollywood. 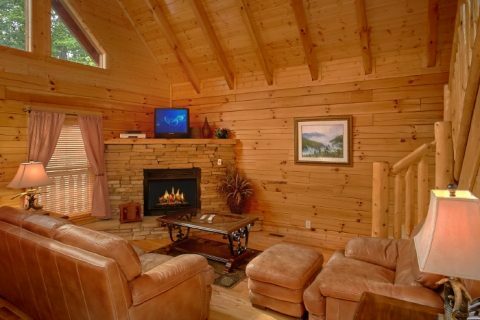 With fun amenities and plenty of space for relaxation, this cabin in the Smokies is bound to be a hit with your group. 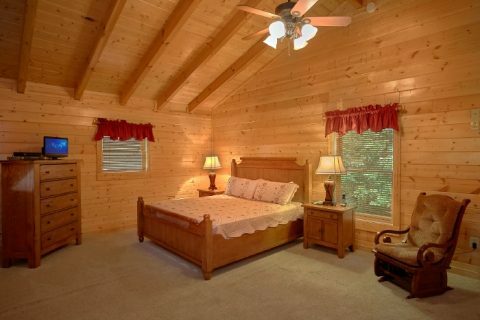 Even better, when you book with Cabins USA Gatlinburg, you can reserve "Dew Drop Inn" and earn your 15% discount. 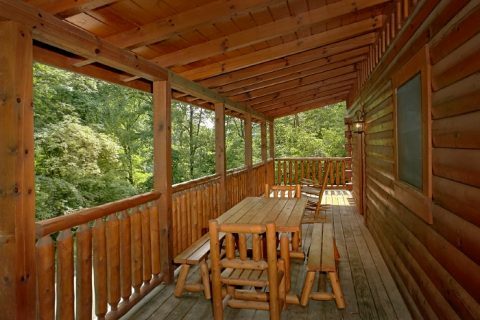 Experience great vacation savings on lodging in the gorgeous Smokies of Tennessee.